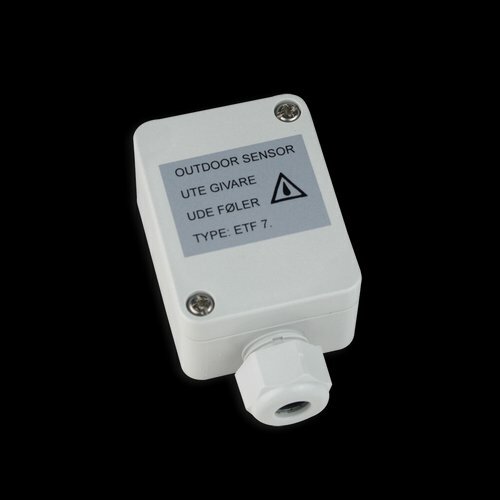 The SCE-AMB-SS sensor measures outdoor temperature and is typically used in conjunction with the SCE-GTM-SS moisture sensor for optimal deicing system operation. Ideal for use with SCE-120 control, this sensor measures 86mm H X 45mm W X 35mm D and is designed to for wall-mounted, outdoor installation. The ambient temperature range setpoint for the SCE-AMB-SS can be adjusted on SCE control unit. Wire not included.